This photograph of Cadia Mining Village, south of Orange in Central NSW, was taken in 1907-1909. On the right it shows a group of miner’s huts, occupied from the 1860s to the 1920s (French Collection). The sites of two miner’s huts were excavated in advance of mining in 2002. While clearly visible in the historical photograph, these buildings were ill defined in the archaeological record. The question is whether they would be recognised as structures, were it not for the existence of the historical photographs. In this case, a methodical approach paid off. The site of the mining village was planned in detail in 2000. Terracing in the hill slope and a surface scatter of stone and brick allowed the potential sites of these buildings to be recognised (S002 & S004 – survey plan). They are the two buildings in the background of the detail in the above photograph. The photograph also shows two other buildings in the foreground and what appear to be WCs on the left, partly behind one of those buildings, but none of these could be discerned in the survey plans. 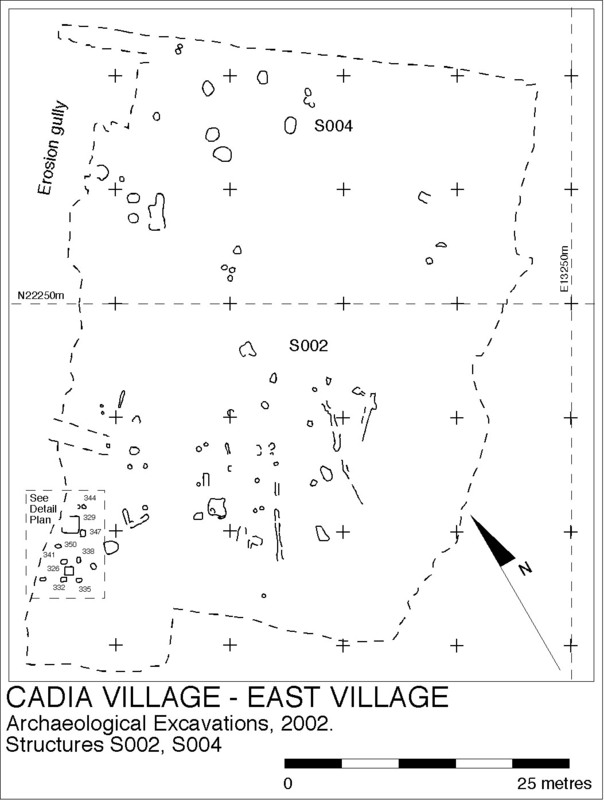 When the site was opened up for area excavation in 2002, both buildings were located (S002 & S004 – excavation plan), together with the cess pits for the WCs. 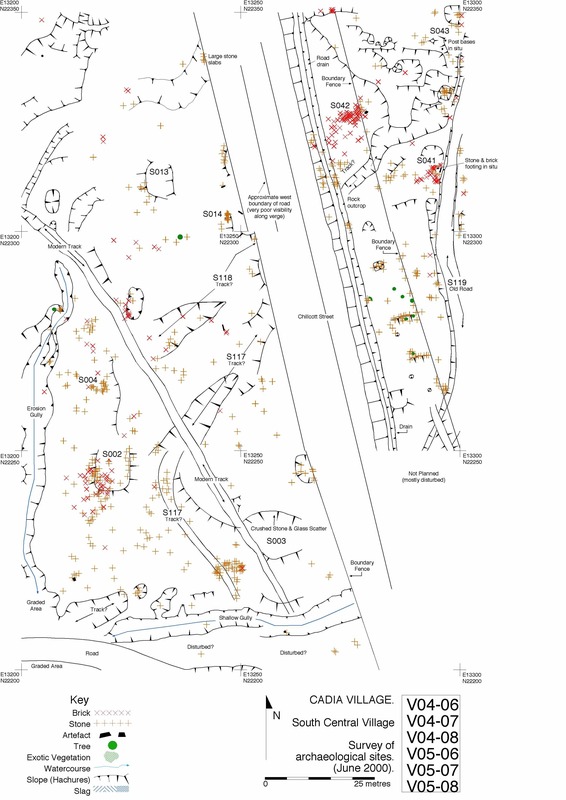 S004 was hardly recognisable as a structure in the archaeological record – it was simply an irregular scatter of pits. S002 was more recognisable as a rectangle of archaeological features, but again not well defined as a structure. The excavation was a salutary lesson in the difficulties of finding ephemeral structures. On an area excavation, the scatter of features for both these structures would often not be recognised as evidence for buildings, had it not been for the historical photographs or previous site planning. There were few artifacts recovered from the buildings themselves, but the cess-pits produced an assemblage that was able to tell us about the lives of those who lived in these huts from the 1860s to the 1920s. For another case of finding ephemeral structures, see Belgenny Farm. Thanks to Brian French for permission to use the historical photograph.